The last time I was at the Goodwill, I found myself in the book section. You’d be surprised at how many good books you can nab there for 99 cents a piece! Then I saw a few lonely encyclopedias – some strays no longer with their original set. I feel sad for these relics of the past, don’t you? So I grabbed the G-H volume for 99 cents and got to work giving it a new life in flower form! While I’m not crazy about the idea of tearing up books, encyclopedias (especially single volumes) seem to be a good bet for not being used again. 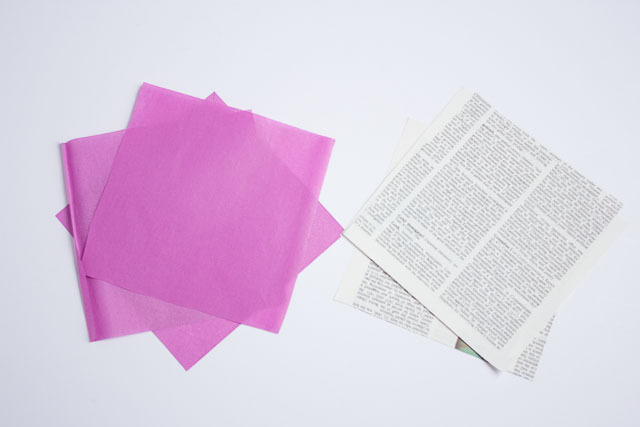 Plus their large sheets of almost tissue-thin paper make them perfect for shaping into delicate flowers. 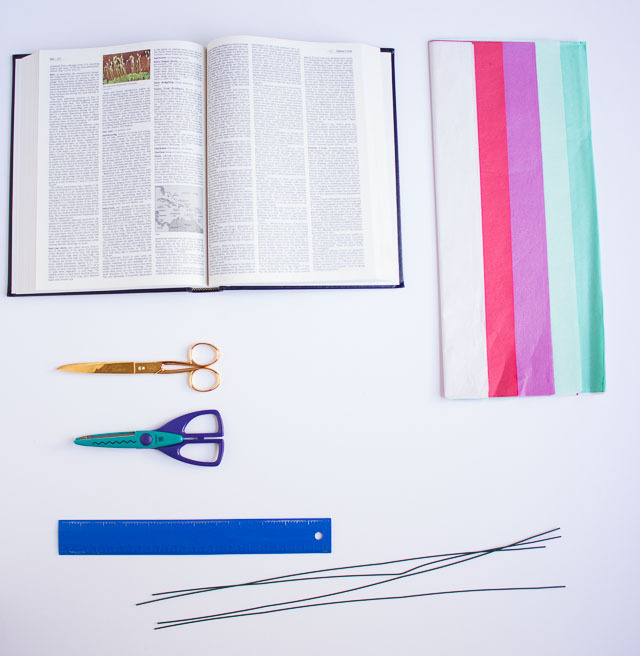 You could use just the encyclopedia pages for a more vintage look, but being the color-loving girl I am I had to layer in some bright colored tissue paper as well! I like the juxtaposition of the two types of paper. 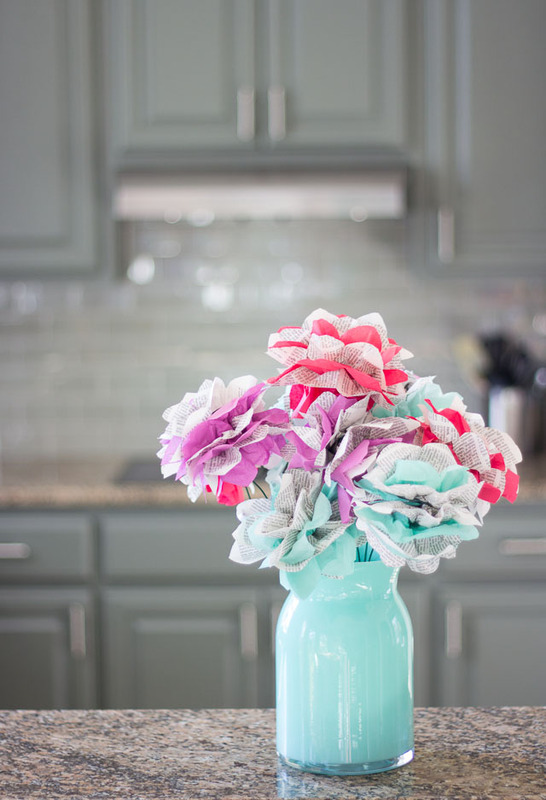 Putting them in a bright colored vase (you can make one of these too!) makes for a pretty spring arrangement! 1. Create a square template by measuring a 6 inch square on a piece of card stock and cutting it out. 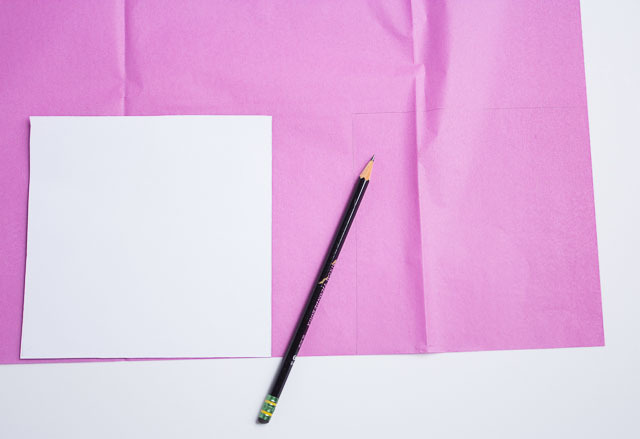 Use this template to trace squares on your tissue paper and encyclopedia pages. 2. 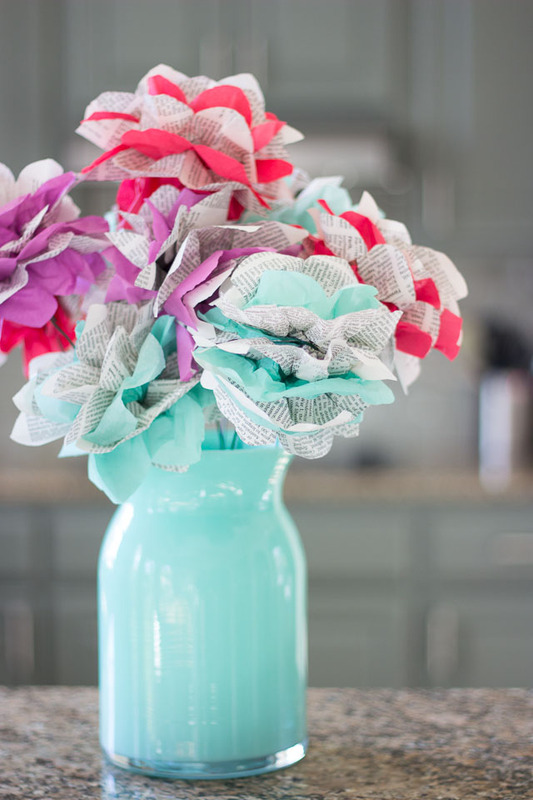 You will need 3 squares of tissue paper, and 3 squares of encyclopedia paper for each flower. 3. Stack them up, alternating between the two types of paper. 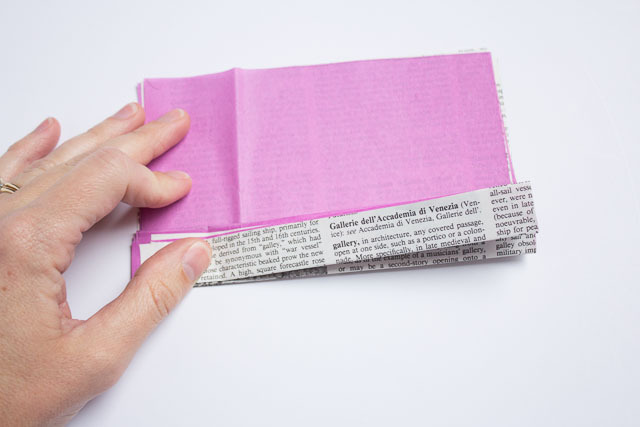 Then accordion fold six times (each fold should be about 1/2 inch wide). 4. Once it is accordion folded it should look like this. 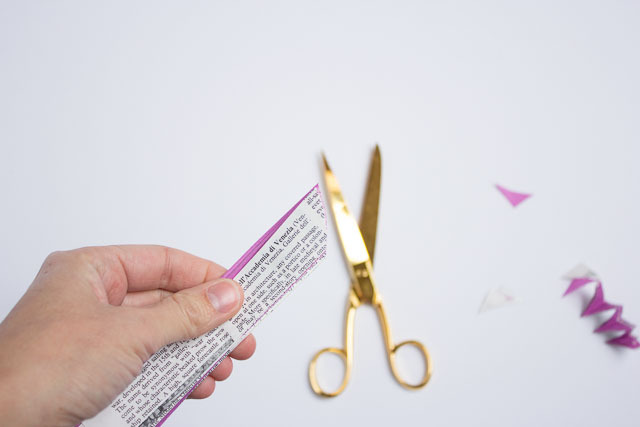 Round off the ends with your scissors, which will create a petal look. 5. 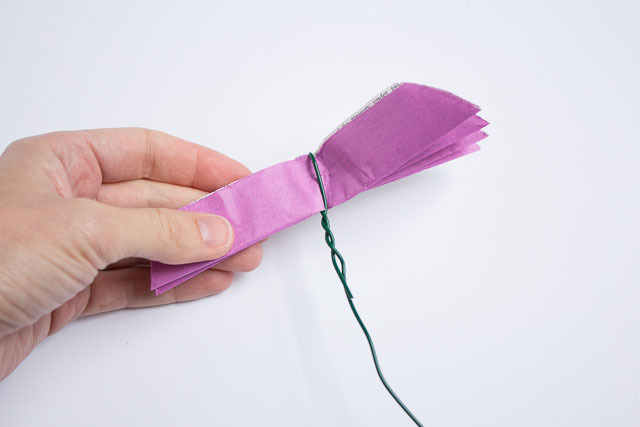 Take your floral wire and wrap it snuggly around the middle of the paper. 6. 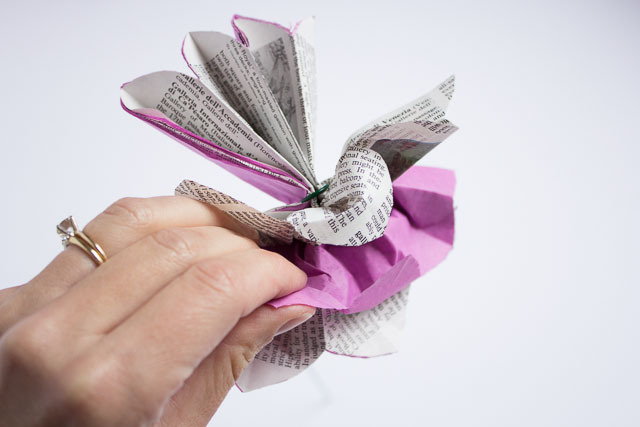 Start to fan out each layer of paper to form the flower, being careful not to rip the paper as you are separating it. 7. Once you’ve fanned out each layer the flower should look like this! I stuck a little floral foam in the bottom of my vase so that the flowers would stand up nicely. No water needed! These will keep my counter looking pretty all spring! 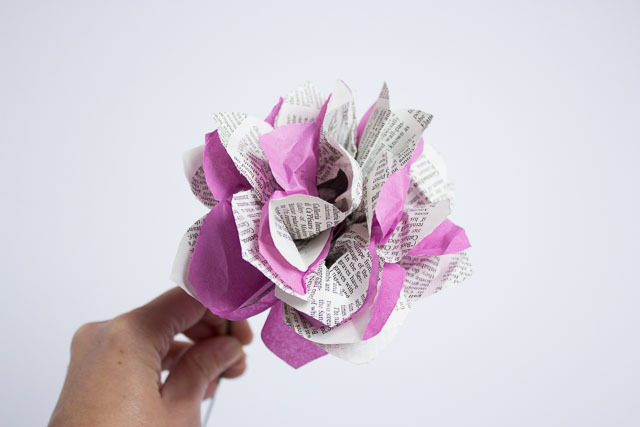 Like this paper craft? 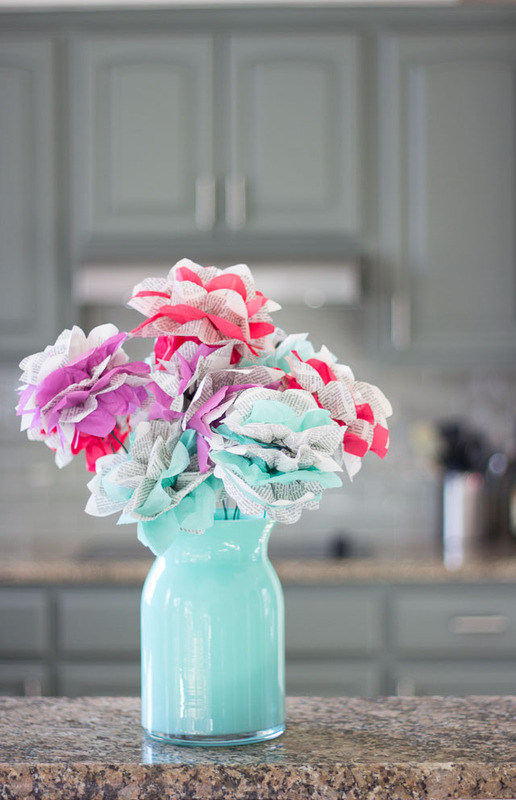 Then don’t miss these other fun paper flower ideas! 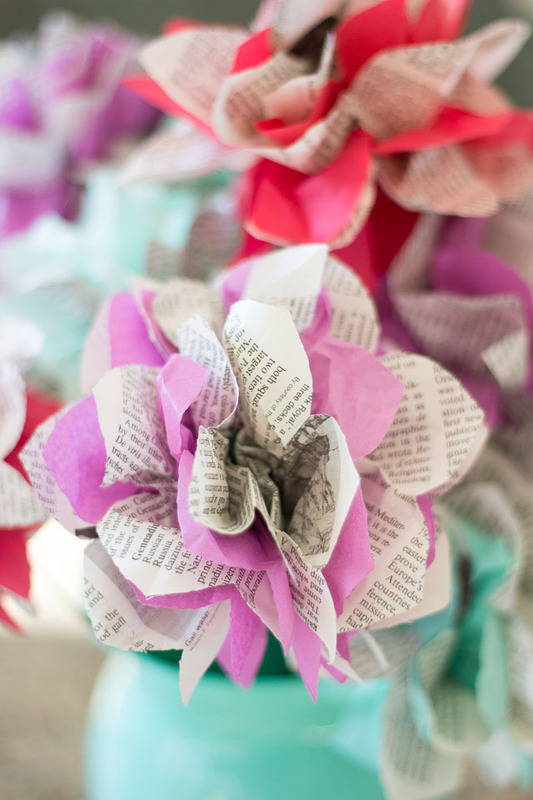 Who doesn’t love a good upcycle project? 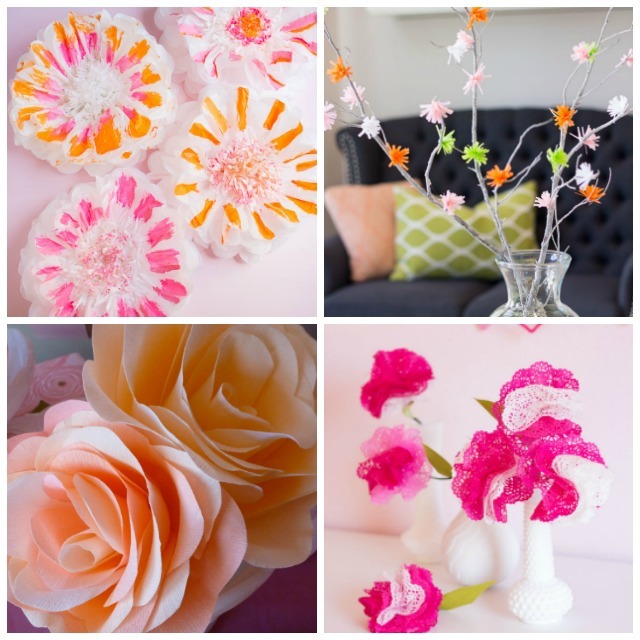 Check out my top 10 thrift store makeovers!